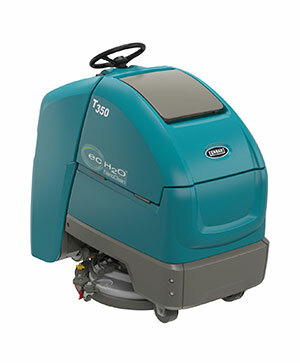 Clean large facilities with tight corners and obstructed spaces quickly and easily with the maneuverable T350 Stand-On scrubber, and enjoy category-leading productivity rates. Clean faster and longer with category-leading productivity rates exceeding 30,000 square feet (2,795 square meters) per hour. 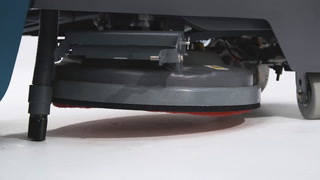 Get consistent cleaning results with programmable Zone Settings™ that reduce dependence on operator set-up for different cleaning conditions. Reduce the risk of slip-and-fall accidents and ensure soils are removed from the floor with optimized squeegee design and recovery system. 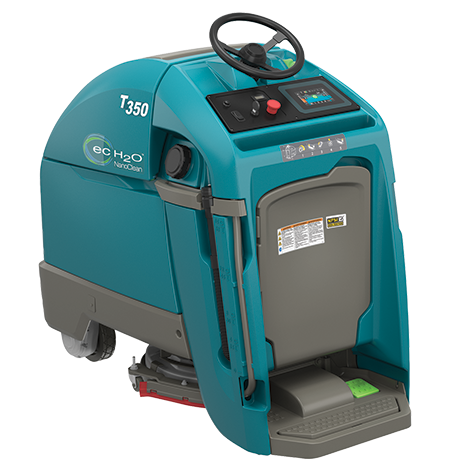 Ensure operator comfort and control with ergonomics designed for a stand-on scrubber with easy-to-use machine controls. Reduce water consumption and disposal of conventional cleaning detergents into the waste stream with ec-H2O NanoClean™ technology. Get superior cleaning performance from your T350 with TennantTrue® parts that have been designed specifically to help maximize cleaning effectiveness in one pass and achieve better cleaning performance at a total lower cost. 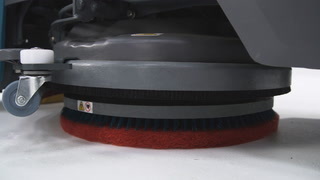 The squeegee is one of the most critical parts on your T350 scrubber. Only genuine TennantTrue® squeegees are designed specifically to fit with your T350 machine to deliver exceptional liquid collection and pick-up for optimal cleaning performance. The correct fit helps reduce downtime and service calls, lowers labor costs and puts money back into your business. 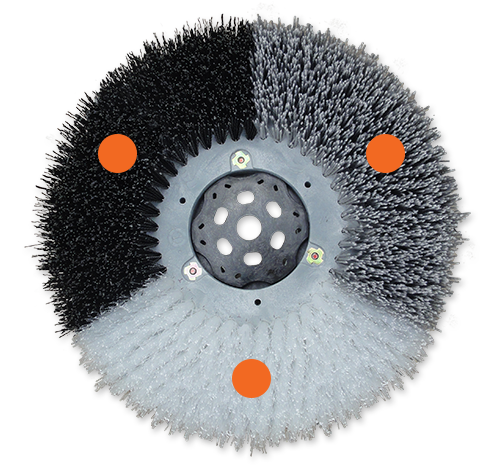 Achieve better performance while lowering costs associated with rework, labor, safety and maintenance by using genuine TennantTrue® brushes, specifically designed for your T350 machine. Don’t settle for less - choose TennantTrue® brushes! Stone Care from Tennant provides smoother, brighter concrete floors that improve light reflectivity and enhance the image of your facility. Clean effectively on fewer dump-fill cycles by taking advantage of the T350’s optimal down pressure, fast brush speeds and large capacity solution and recovery tanks. 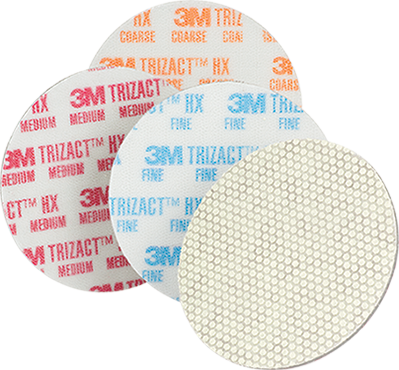 Maximize uptime with a durable design, easy-to-access mechanicals, and readily available TennantTrue® parts and consumables. Assist operators with preventative maintenance and streamline their training with yellow maintenance touch points. Simplify training and obtain optimal results when you choose the T350 Pro-Panel™ with on-board maintenance videos. Use programmable Zone Settings to reduce set-up time for operators and clean more consistently. Ensure operator comfort and control with ergonomics designed for a stand-on machine with easy-to-use machine controls. 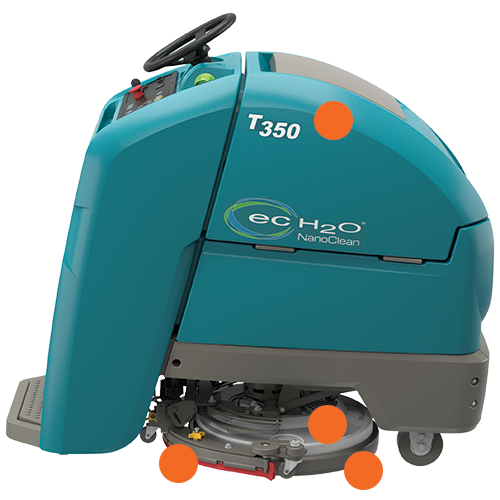 Minimize the risk of slip-and-fall accidents with the optimized water recovery system and when you choose the T350 with ec-H2O NanoClean™ technology. Maintain wet batteries easily with Smart-Fill™ automatic battery watering. Perform routine maintenance efficiently with on-board tutorial videos. Increase operator comfort by managing machine speed via a speed dial on the console. Ensure consistent results with programmable Zone-Settings™ that reduce dependence on operator set-up for different surfaces and areas. Incorporate daytime cleaning with Quiet-Mode™ operation that reduces machine noise levels to as low as 59.7 dBA. 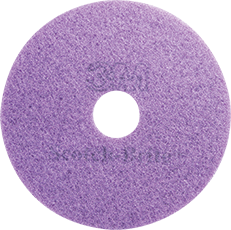 Clean a variety of floor surfaces, including textured and grouted floors, with excellent down pressure and multiple cleaning pad and brush choices. Minimize secondary cleaning operations on tougher soils like heavy oils by dispensing detergent on demand with the optional Severe Environment™ switch. Reduce water consumption up to 70% and disposal of cleaning detergents into the waste stream with ec-H2O NanoClean technology. Learn more about the Life-Cycle Assessment that shows how using ec-H2O NanoClean reduces environmental impact in seven key categories over the life of a scrubber.